Tough guys like Ragnar enjoy keeping their heads warm and toasty during cold Scandinavian nights. 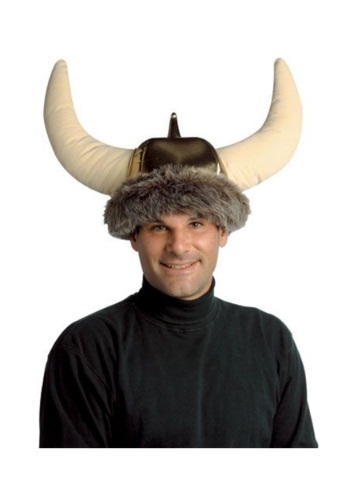 This hat is every Viking’s dream. He can leave his battle helmet at the door and change into this comfy helmet with plush horns when he checks in to his longhouse. You can enjoy the same kind of comfort as Ragnar. You might even think of this Viking Plush Hat like soft slippers for your weary head. One benefit is that you can retain your tough Viking identity without sacrificing your style…and you won’t feel a bit of discomfort if you suddenly to fall into slumber after a long day of warfare. It’s the perfect way to achieve total comfort while you relax around the fire, enjoy some mead, and get ready for the next battle!